If there’s one thing that Los Angeles has plenty of its sports. From baseball and basketball to soccer and football, Los Angeles has it all. 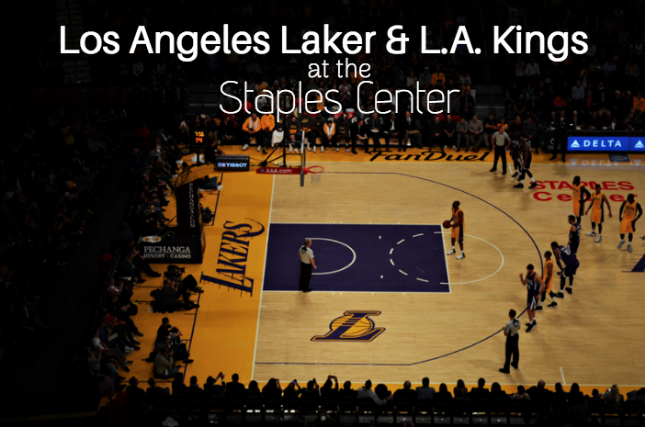 At the Staples Center in Los Angeles, you’ll find your fair share of basketball games and ice hockey games as this stadium is the home location of the Los Angeles Lakers and and the L.A. Kings. If you enjoy sports, check out these upcoming Lakers & Kings games and then stop by the nearby fairfax village los angeles for shopping, eating and entertainment. The Los Angeles Lakers have a number of home games coming up for the rest of year. If you’re looking for some Thanksgiving fun, on Friday, November 23rd, cheer on the Lakers as they take on the the Utah Jazz team at 7:30pm. If you can’t make that game, catch the Lakers playing against the Orlando Magic on Sunday, November 25th at 12:30pm. Other upcoming games include them playing the Dallas Mavericks on Friday, November 30th at 7:30pm; the Phoenix Suns on Sunday, December 2nd at 12:30pm and the San Antonio Spurs on Wednesday, December 5th at 7:30pm. Tickets are available online. If Ice Hockey more your speed, don’t worry, there are a number of home games for the LA Kings taking place at the Staples Center as well. For Thanksgiving family fun, watch the Kings take on the Vancouver Canucks on November 24th at 7pm or the Edmonton Oilers on November 25th at 7:30pm. Other upcoming games include taking on the Arizona Coyotes on december 4th at 7:30pm and the New Jersey Devils on December 6th at 7:30pm. To avoid traffic and parking, consider taking public transportation to the Staples Center. Check out the Staples Center friendly guide to public transportation by clicking here.